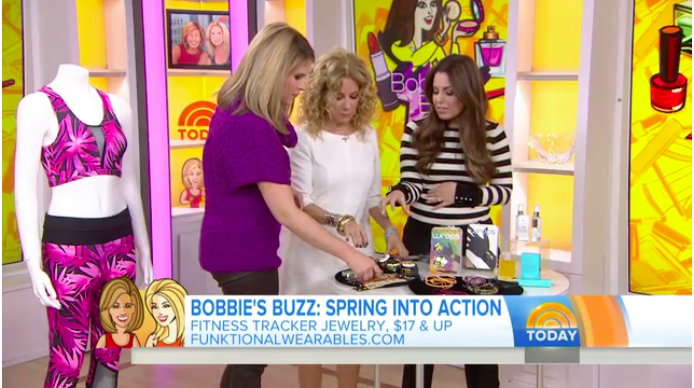 Funktional Wearables and Wraps featured on Today Show! We are so thrilled to have two of our amazing tech accessory clients on the Today Show! Bobbie Thomas shared Wraps headphones and Funktional Wearables with the Today Show audience. Watch the segment here. Wraps wearable headphones solve 3 inherent problems all headphones have: 1. Storage 2. Anti tangle 3. Style. Funktional Wearables accessories are designed to protect and enhance fitness trackers from Fitbit®, Misfit®, Avia Aspire, VivoFit®, and Jawbone®. Shop all Wraps here: mywraps.com. Shop all Funktional Wearables here: funktionalwearables.com.